We’re honored and excited to announce we’ve been awarded for our outstanding marketing services and design work from the National Agri-Marketing Association (“NAMA”). 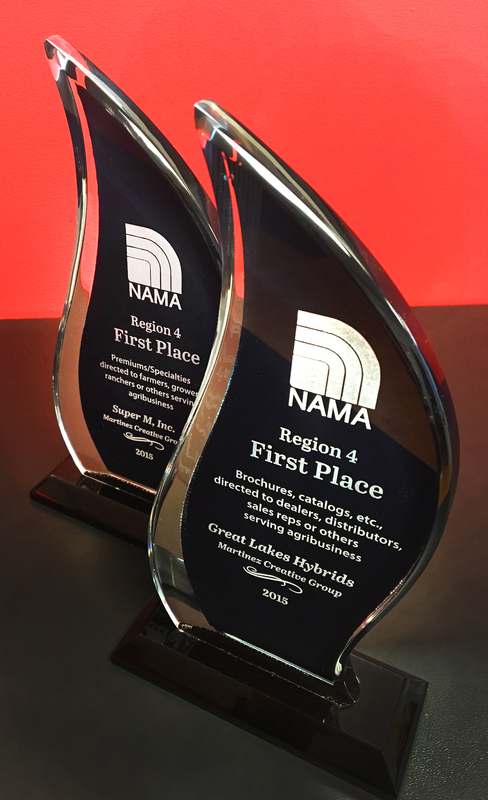 We received two first-place awards and one merit award at the NAMA Region IV Awards Banquet in Libertyville, Ill on Jan. 21, 2016. 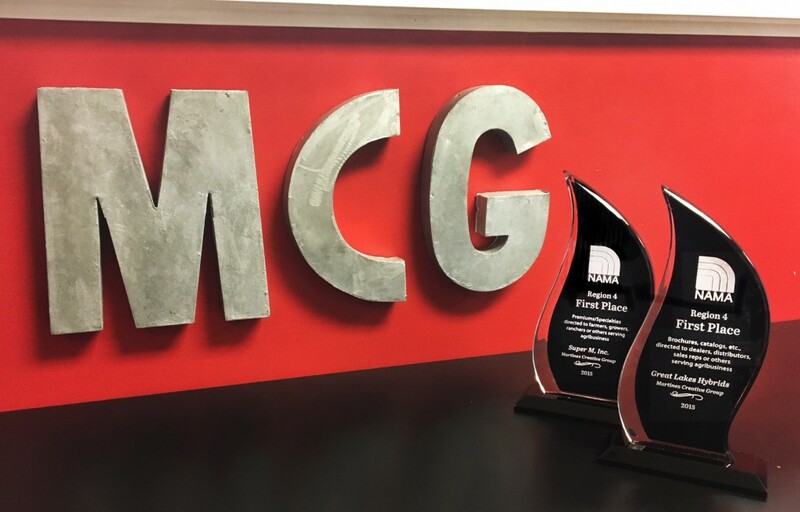 MCG and client Great Lakes Hybrids were awarded First Place for the Great Lakes Hybrids Seed Guide Catalog in the category of Brochures or Catalogs Directed at Dealers or Sales Reps. 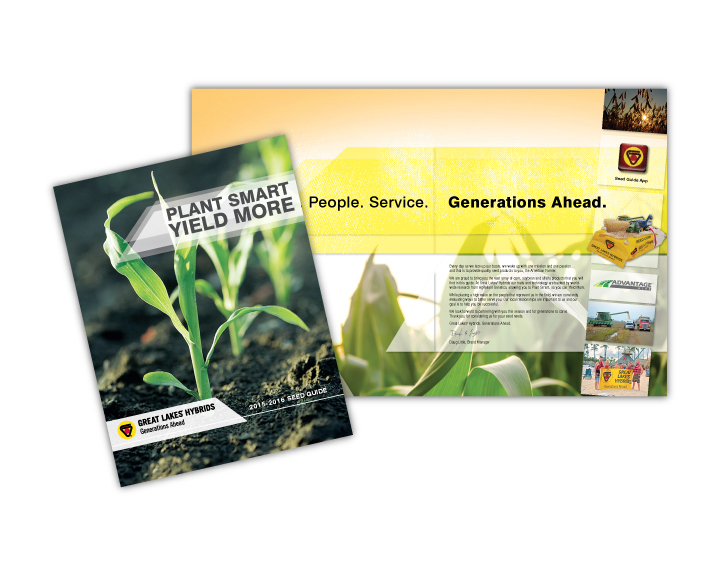 In 2015, we worked with Great Lakes Hybrids on a complete redesign of their seed guide catalog. The result is a catalog that growers can easily use to quickly identify the varieties of corn, soybeans, and alfalfa that will work best for their individual farming needs. 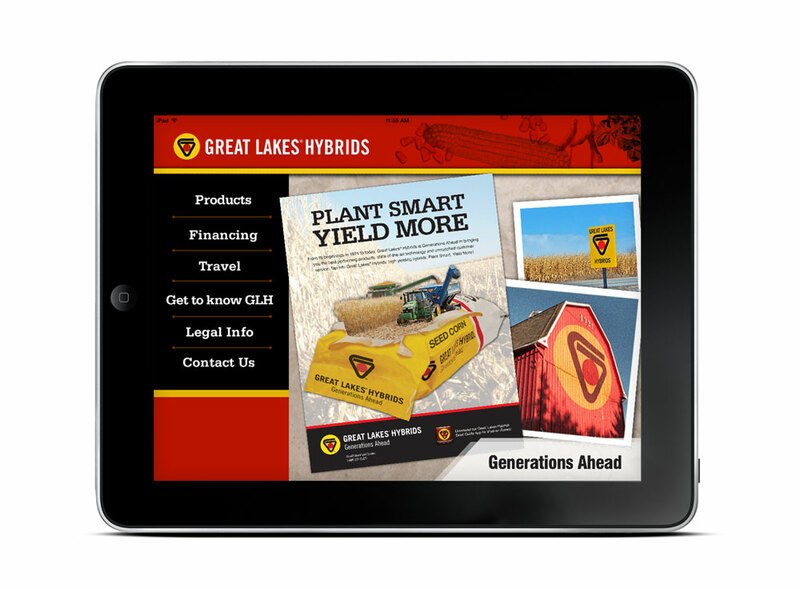 This seed guide has helped to position Great Lakes Hybrids as a leading regional seed brand. We were also recognized with a Merit award for Great Lakes Hybrids’ Seed Guide App in the category of Mobile Apps. We released a new update to the app in 2015 which included both product and trait updates, as well as an easy-to-navigate scroll bar. The Seed Guide App helps both dealers and customers make the most informed purchasing decisions for their operation. We were also honored to be awarded First Place with client Super M, Inc. for Max Armstrong’s Tractor App Screen Cleaner Promotional Item in the category of Premiums / Specialties Directed at Farmers. 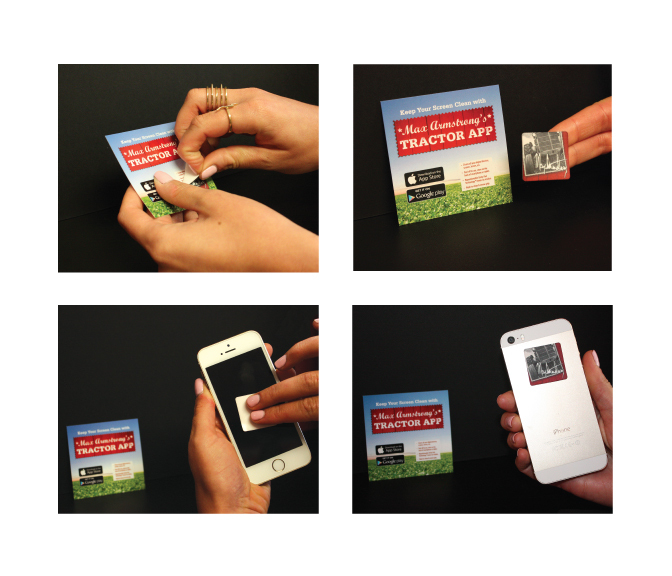 This was a unique reusable screen cleaner promotional giveaway item for smartphones and tablets. The screen cleaner promotes the Max Armstrong Tractor App and features the app icon, along with Max’s unique signature. The Region IV Awards Banquet includes members from Wisconsin, Illinois, and Indiana and was held at Austin’s Saloon in Libertyville, Ill. on January 21, 2016. The National Agri-Marketing Association hosts regional awards banquets nationwide in January and February. 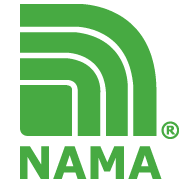 NAMA is a non-profit organization of more than 3,500 professional and student members and is the nation’s largest association for professionals in marketing and agribusiness. By participating in NAMA, members gain knowledge, skills, and contacts that help individuals and organizations meet business challenges and capitalize on opportunities. The Best of NAMA awards program honors the best work in agricultural communications. About Martinez Creative Group, Inc.
Martinez Creative Group, Inc. was established in 2004. Today it serves agribusiness, security, technology, manufacturing, food production, renewable energy, and other accounts with integrated marketing communications including: social media strategy and services; video, website, and mobile app development; advertising, branding, and graphic design.